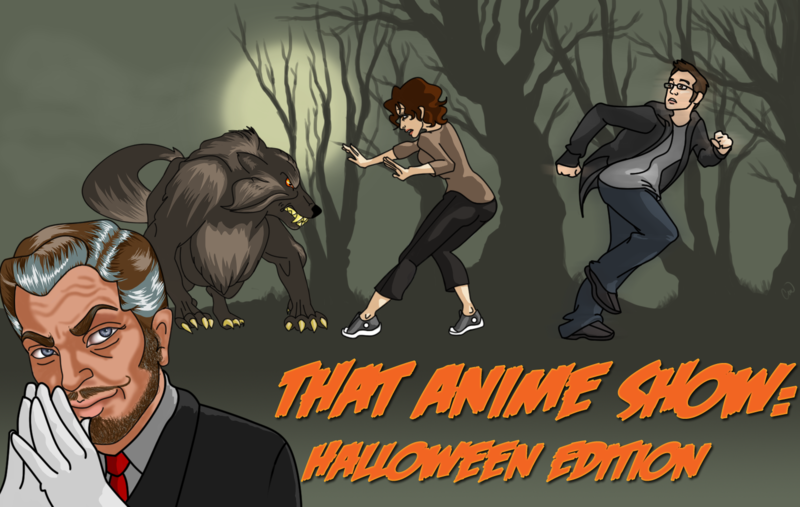 That Anime Show presents their second annual Halloween special. Join Victor Costly, guest host, as he brings you stories, scenes, and music perfect for the month of October. Prepare yourself for thrills, chills, and lots of awkwardness. This weekend cannot get any better, First season 4 of One Piece was announced and now your halloween special. The only thing that would make this weekend more perfect is if all the anime/manga i wanted appeared at my doorstep along with some horror movies and 10,000 dolars. Terry’s story really takes the cake though. The fear in her’s really resounded with me and she told it extremely well. I can’t wait until next year! 😀 It’s a fantastic special all around and gosh, you three put so much work in to it! Man this one was better than the last years, not that last years was bad or anything but I loved this one. Terri’s story was the best one for me just cause of how not supernatural it was. yeah ghosts and monster are scary but what she went through could have happened to anyone, and i just think thats why it was the best story. Also Victor Costly was great. Awesome show guys have a nice break. Wow this is an amazing podcast I’m glad I found it! Wow I feel sorry for Ms Terri that stalker was very demented and scary.It was fun and funny hearing th stories and favorite things can’t wait to hear more!